I read this wonderful book last year and currently have it up for review on my blog this week so be sure to check it out and enter to win a copy of this consuming read. While this book was a little on the heavy side, it was a wonderful read and one that you don’t want to miss. I love historical fiction that involves nursing and that’s what caught my eye about this book. I also have a special treat for all of you, a little Q & A with the author! 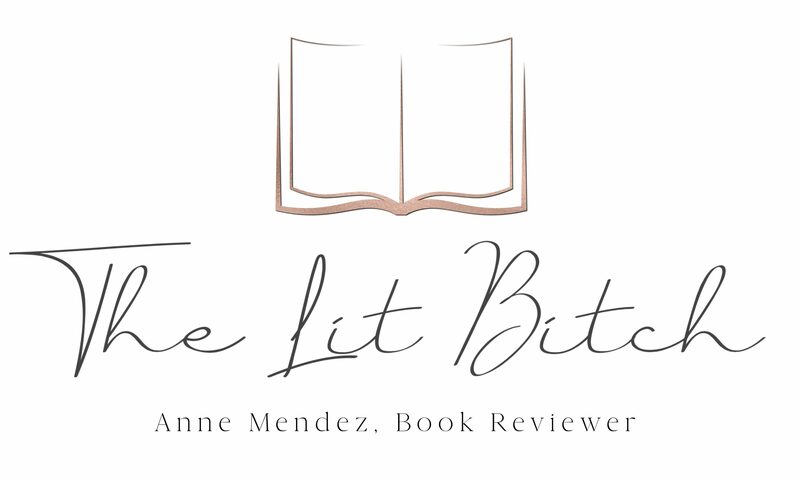 Here she talks about her novels and her writing and research process for her novels! You don’t want to miss this little insight into her world! You were born in Albany, New York, and it has been the setting for two of your novels: My Name Is Mary Sutter, and now, Winter Sisters. What compels you about Albany as a setting, and what have you learned about the city’s history in your research? Albany wears its history on its sleeve. Much of its 19th century architecture remains intact, giving the city a distinctly visible link to its past. For centuries, Albany was a vital crossroads between east and west. The Hudson River, the railroads, and the Erie Canal all played an important role in the prosperity of the nation. Hemmed in on one side by the river, high and low society lived side by side: lumbermen, barons of industry, politicians, and aristocrats. Separated from Manhattan City by only a four-hour dayboat ride or train trip, Albany was intimately connected with the commerce of the entire country. In its heyday, Albany was not a city in decline but a significant player on the world stage, which makes it a rich setting for a novel. More personally, I formed indelible memories of Albany from the wide back seat of my mother’s Bonneville. We would drive into the city from Loudonville, where we lived, to shop or go to church or dinner. The Hudson River seemed wide and forbidding, the trains that traveled along the city streets mysterious, the rococo spires of the churches enthralling. There were wooden row houses and elegant brownstones and verdant parks and enormous government buildings that to a child seemed like the larger world. Of course it wasn’t Paris or Manhattan, but at that time, to my eyes, Albany was a fascinating, dangerous, romantic place, full of story and drama. That impression, and the desire to convey Albany’s legacy, lingers still. As part of your research for the book, you investigated New York laws and court procedures from 1879. What did you find, and how did that inspire the plot? When I begin writing a new book, the first step is to discover who my characters are and what they want, which leads me to understand what kind of research I will need to do. My goal is to flesh out the historical milieu of the novel and to establish as accurate a recreation of the period as I can. This helps me to understand what choices my characters might make, which will be the ultimate vehicle that drives the plot. But one particular fact did drive the development of Winter Sisters. In 1879, the age of consent in New York State, and in many states in the union, was ten years old. In Delaware, it was seven. This little-known historical fact shocked me, and propelled the development of the characters of Emma and Claire O’Donnell, the ‘winter sisters’ of the novel. One hundred fifty years later, even after the age of consent changed to eighteen, very little has changed around the crime that centers Winter Sisters, both in its prosecution and in the heinous way that many victims are still treated today. Mary Sutter won readers’ hearts as the protagonist of My Name Is Mary Sutter, a brilliant and headstrong midwife who becomes a Civil War surgeon. O Magazine called her, “clear, determined, and, unlike most women of the Civil War era, unapologetically direct.” What do you think it is about Mary that readers connect to, and was she inspired by any other literary characters? Readers have told me that they love that Mary Sutter does not suffer fools gladly. Nor is she afraid of anything. If Mary Sutter is inspired by any literary characters—and she isn’t, consciously—it would be the characters of Elizabeth Bennett of Pride and Prejudice and Scarlett O’Hara of Gone With the Wind, the literary heroines of my early adolescence. But my first connection to strong female heroines occurred during my earliest reading adventures, when I devoured the biographies of the famous American heroines Dorothea Dix, Molly Pitcher, and Clara Barton, all of them strong, interesting women who always said what was on their minds. Winter Sisters picks up on Mary’s life twelve years after the events of My Name Is Mary Sutter. How has Mary changed in the intervening years, and what does her life look like now? What made you want to return to this character? When we last left Mary, she was working as an accomplished physician in Manhattan City, and had just happily reunited with Dr. William Stipp, who had facilitated her medical education during the war. She lived with her mother Amelia Sutter, her brother-in-law Thomas Fall, and her niece Elizabeth Fall, as well as their friend Bonnie Miles—all of whom return inWinter Sisters, Since then, what remains of the Sutter family has moved back to Albany. Mary is encountering societal prejudice against women in medicine and society, which hurts her ability to investigate what happened to Emma and Claire. As skilled as ever, she nonetheless has less standing than she did just after the war. Over the last few years, readers have often asked me to include Mary Sutter in a new book, but I could not think of a single circumstance that would challenge her as much as the obstacles she had faced in the Civil War. Then I learned about the age of consent. I simply couldn’t leave Mary Sutter out of it, for I had finally discovered something of equal importance for her to battle. Like Mary, you have experience in the medical field, as a former registered nurse specializing in critical care. How does this influence your writing? What were the most interesting things you learned about the medical profession in 1879, and how Mary would have done her work? As a nurse, I helped people in their most vulnerable and intimate moments, giving me a glimpse into interior lives usually hidden. It has also garnered me insight into how medicine has changed over the years. Regarding the medical profession in 1879, it had, since the Civil War, adopted asepsis (sterile technique), saving lives that were once lost due to infection. The profession was still a long way from antibiotics, however advances across medicine were proceeding apace. Hospitals had become more organized, and medical committees formed, charged with ensuring quality of care and credentialing. The new technology of the telephone facilitated better communication between hospital, doctor, and patients. Anesthesia developed into a more advanced science. Operating theaters provided better medical education for medical students. Orthopedics had come a long way since, and because of, the war. Most important, however, was the beginning of standardization of medical practice and care, wrenching the profession from the looser standards of the earlier era. Most relevant to this story, women physicians were making inroads on the medical profession, demanding to be allowed to practice without gender restrictions. However, they were still opposed nearly everywhere. In Albany, the first women would not graduate from Albany Medical College until 1923. 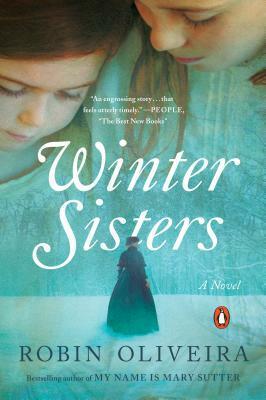 Winter Sisters is anchored by two natural disasters: first, the snowstorm in which Emma and Claire vanish, and second, the flood that brings the truth of their disappearance to light. What gave you the idea to use forces of nature to help drive the narrative? My memories of Albany are anchored not only in its geography and architecture, but also in its winters, which I remember as epic and interminable, lasting from the middle of November until the last traces of snow finally melted in April. There were frequent blizzards, icy cold temperatures, and slippery roads. To write about Albany without including its extreme weather is to ignore one of the major forces that have shaped and also beleaguered the city and its inhabitants. In the 19th century, temperatures were much colder and the Hudson River consistently froze. In spring, the breakup of the river ice resulted in freshets of varying magnitude that inundated streets and businesses along the river. With the lack of weather forecasting and reliable communications systems, people in the 19th century were often caught unaware when such disasters unfolded, frequently wreaking both personal and civic havoc. It seemed self-evident to underscore the vulnerability of my characters by linking their fates to the forces of nature, both for good and bad. Winter Sisters is many stories in one: a missing-persons mystery, a disaster novel, a medical drama, a courtroom showdown, and an emotional family story. Was there an element of the story that you felt the most drawn to? Were there scenes that were more entertaining—or more difficult—to write? For technical reasons, the missing-persons mystery and the courtroom showdown were very difficult to write. To keep track of who knew what when, what people’s knowledge and motivations were at any given moment, when and how to reveal certain elements was exacting and tedious. My editors Kathryn Court and Sarah Stein helped me to trim the courtroom scenes so that I would not commit the writerly sin of repeating elements that the reader already knew. And for perhaps more obvious reasons, the emotional family story tore at my heart. There were many days when I wept while writing. What I was most drawn was the tragedy at the heart of the story, which exacted a daily toll on my well-being. It took several months to recover from writing the book. Music is also very important in the book. Mary’s niece, Elizabeth, is a talented violinist who returns from studying at the Paris Conservatoire. Though she is at first unwilling to play her instrument, it becomes a tool of healing and recovery for those around her. Do you have any musical background? Why did you decide to make music such a key part of Winter Sisters? I have neither musical background nor ability. But I love the violin, and very much wish I had learned to play as a child. One of the reasons I chose to include music was that Elizabeth had to stand as a character in opposition to her aunt. Mary is scientifically grounded, practical in the extreme, and a doer. Elizabeth is artistic, emotional, and feels far more vulnerable than her aunt did at her age. Their differences serve as a strong contrast, providing a source of conflict that fuels their differences and pushes some of the narrative. But each is a prodigy in her own right, and Elizabeth has something to provide that Mary, with all her medical skill and stubbornness, cannot. Elizabeth’s gift reaches into a person’s soul—and this story cried out for every tool available to respond to the tragedy. The book deals with trauma—both physical and emotional—and how we talk about it and heal from it. Was it challenging to write about such dark topics? It was extremely challenging. There were days when I could not separate the fictional world I was creating from my everyday life. Though as a registered nurse I often worked through grief with patients and their families, somehow the fictional world I was creating was just as, or even more, affecting. Like many writers, I write intuitively, inhabiting the psyches of all my characters, absorbing their pain, which of course I am inflicting on them. But the body can’t tell the difference between fiction and reality, and there were many days when I left my computer emotionally devastated. This was as dark a piece as I have ever written. But the subject is close to my heart, and I couldn’t abandon it, despite the toll it was taking. Though Winter Sisters is set in the late 19th century, Mary is many ways a modern heroine: she has agency, speaks her mind, and is keen to be treated equally to the men around her. How did you use her story—and that of the other female characters in the book—to illustrate the changing role of women in society at this time? Winter Sisters takes place in the conservative years after the Civil War, during the tumultuous emergence of suffrage, when whatever freedoms women were gaining were being actively opposed and ridiculed. Mary, who had fought for parity with men and was able to achieve a great deal, is now, in 1879, confronted by a society that is opposed to any social or professional mobility on the part of women. But Mary won’t give up. In the novel, she anchors one end of the independence spectrum, while other women in the novel possess varying degrees of female agency. That spectrum, how it affects what women are able to do, and the price women pay when they overstep that societal and male control, is the story of the Gilded Age, and continues to play out one hundred fifty years later. Indeed, the changing role of women in society, and what men will accept, remains one of the essential conflicts of our time. March 10, 1879, Albany, New York: The day begins like any other. A light snow is falling as Bonnie and David O’Donnell leave their row house on Elm Street, dropping off their two young daughters—Emma, ten, and Claire, seven—at school, and hurrying on their way to work. But when the sun rises two days later, an epic blizzard has separated the family and devastated the city. Both Bonnie and David are dead, and Emma and Claire are nowhere to be found. In the wake of this catastrophe, Dr. Mary Stipp (née Sutter), a close family friend, begins her tireless search for the girls, refusing to be cowed by police pressure or to believe they are lost forever. What she discovers, and the ensuing uproar, will shake the city to its core and expose a seedy underbelly of corruption and scandal. An emotional family saga, WINTER SISTERS explores the vast range of what humans are capable of, from tremendous good to unspeakable evil. It is a story about the aftershocks of trauma and the strength and resilience of women—to do what is right, to band together in times of strife, and to endure. Oliveira’s vivid language and lush period detail evoke a society at the end of a century and on the cusp of change, where women must fight to be heard and respected, because the societal and legal infrastructure is not in their favor. And though the novel is set almost 140 years ago, Oliveira’s piercing social commentary resonates profoundly today. Mary Sutter is a heroine for the ages—unbound by convention, unyielding to pressure, and unwilling to let the shadowy motives of powerful men get in her way, especially when the souls of two innocent girls are at stake.